This book for young girls features several upbeat, engaging stories about conversations between Trisha and her aunt Maria, to help parents guide their daughters during adolescence. 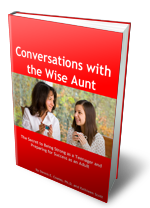 Use it to prepare for talks with your young daughter or give the book to her to supplement the discussions. This book for young boys shares rich “heads-up” talks that can give your son a significant edge as he prepares for adult life. The stories are about conversations between Chris and his uncle Ray, who mentors him during adolescence. 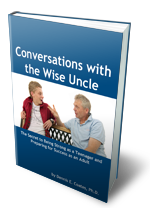 Use it to prepare for talks with your young son or give him the book to supplement the discussions. Kids can get a lot from participating in youth sports: having fun, making friendships and reinforcing social skills, learning the rules and skills of the game, strengthening physical fitness, and building character strength. Unfortunately, many coaches believe the supreme goal is winning. 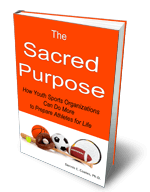 Written for youth sports administrators and coaches, this brief book makes a case for youth development as the higher purpose.